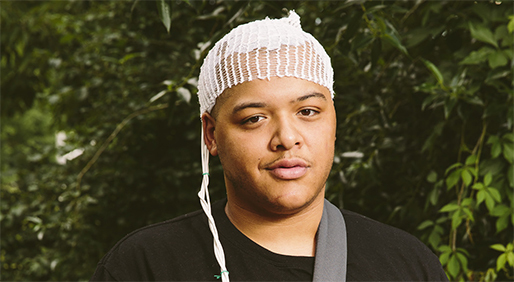 For many with glioblastoma, there’s no clear path after standard therapy, but scientists are exploring an array of new options. Some people first learn they have brain cancer after they have suffered a violent seizure or nearly stopped breathing. Sen. John McCain learned about his tumor after telling his doctor at a routine check up that he’d been tired and seeing double. That led to the discovery of a mass that doctors thought was a blood clot but turned out to be glioblastoma, a malignant, fast-growing cancer that arises from stem or stem-like cells in the brain. McCain was diagnosed July 14 with the cancer, which can affect thinking, emotions, personality and even the body’s ability to perform basic functions. In 2017, about 24,000 people will learn they have brain cancer, the National Cancer Institute estimates. Michael Yutkin probably didn’t think “brain cancer” when he was on a business trip in Chicago in August 2012 and woke up with “the worst headache of my life.” Nevertheless, it turned into the worst health challenge of his life. He went to the emergency department, and a scan found a bleed on his brain with a mass behind it. 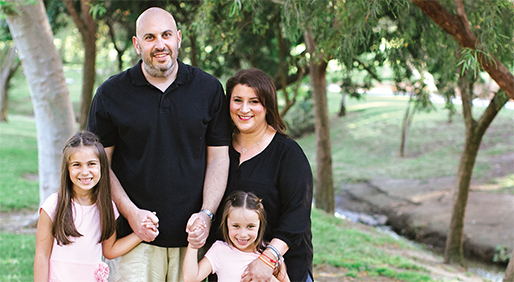 A few days after his wife and two young children flew in from his home in Irvine, California, a craniotomy and a biopsy led to a diagnosis of glioblastoma, a grade 4 glioma, in his right occipital lobe. Yutkin, now 44, enrolled in a clinical trial at UCLA testing the effectiveness of Velcade (bortezomib) — a targeted drug already approved for multiple myeloma — while receiving the standard of care: surgery to remove as much of the tumor as possible, followed by radiation and chemotherapy with Temodar (temozolomide). McCain, too, is considering standard-of-care treatment with radiation and chemotherapy. Yutkin took both Temodar and Velcade over the next two years and responded well to treatment. Things seemed to be going well for him, but six months after he stopped taking Temodar, a drop in his platelets forced him to also stop taking Velcade. Almost a year later, his cancer progressed. More radiation and Temodar brought it under control, and Yutkin’s MRI scans looked stable from December 2016 through this June, when tumor enhancement was seen. Yutkin has no new symptoms, and he and his doctors are waiting for one of two vaccine/immunotherapy trials to open. In the meantime, with so few effective therapeutic options for glioblastoma in general, Yutkin exists in a sort of limbo. He recently began a ketogenic, or low-carb, diet through UCLA to feel like he was doing something potentially beneficial, and he has followed a supplements program put together by Nutritional Solutions, in Utah. He also believes that daily exercise has helped him in his battle. Beyond those efforts, Yutkin simply stays focused on his family and tries not to think too much about the disease — there’s not much else he can do. “It is frustrating not having more tools to try to attack and make sure it doesn’t come back, and I think that’s what the doctors feel, too — there’s a limited number of tools they can use,” he says. Indeed, despite big strides in therapies for many other cancers, advances for glioblastoma have not kept up. The long-term prognosis is typically bleak, with five-year survival rates below 10 percent. The standard of care has evolved only marginally in recent decades. Radiation quadruples survival from three months to 12 months, and Temodar adds a few more months, which improved median survival from 12 months to nearly 15 months when it came out. Patients also often take Avastin (bevacizumab), a drug that interferes with the growth of blood vessels that feed tumors. This reduces swelling and lengthens time to tumor progression. While the drug doesn’t add to overall survival in this population across the board, it has been associated with better longevity in certain subgroups. “In three decades, after hundreds and hundreds of clinical trials and untold millions of dollars of both government and private-sector research dollars, we made an advance of three to five months of median survival,” says Howard Fine, M.D., the founding director of the Brain Tumor Center at Weill Cornell Medical Center in New York City. But the lag in progress in treating glioblastoma is certainly not for lack of trying — and researchers have only redoubled their efforts to find new therapeutic options. Few cancers have as many diverse experimental therapies in clinical trials as glioblastoma. The challenges associated with glioblastoma start with its name. More than 2,000 to 3,000 glioblastoma tumors have been sequenced by the research community to date and "almost none of them are totally alike,” Fine says. He expects the terminology to change over the next decade, with clinicians referring to these tumors, and basing their treatments, more on their genetic classifications than on older pathological terminology such as "astrocytomas" or "oligodendrogliomas." This extreme heterogeneity means that glioblastoma genetics vary greatly from person to person, and even within an individual. A drug that only kills 99 percent of the tumor likely won’t work in the long term, making it hard to find a drug that kills even one person’s tumor, Chi says. And, like real estate, different parts of the brain are more valuable than others when it comes to daily functioning. In another area that would be neurologically devastating.” Even then, tumor size is deceptive: Glioblastoma tumors are so widely invasive that what shows up on a patient’s first MRI does not accurately represent how far cancer cells have already traveled or how integrated into healthy brain tissue they may be, limiting surgery’s effectiveness. Even before surgery, glioblastoma interferes with normal brain functioning, and can therefore cause a disproportionately large amount of disability relative to other cancers. “A small growth in the brain can lead to such significant neurological dysfunction, whether it’s cognitive and thinking, motor, personality or memory, that it really impacts the ability to function in basic activities, quality of life and even the ability to tolerate treatment,” Chi says. Finally, a unique feature of the brain can actually give glioblastoma an edge. The blood-brain barrier, a protective membrane which filters out many of the compounds that might reach other organs, is intended to protect the brain, but it can partially protect the tumor, as well. Despite the genetic diversity within glioblastoma, subtypes exist in which a specific gene or set of genes are expressed throughout all tumor cells, essentially defining that tumor’s behavior, Chi says. “That’s a critical point, because if you’re going to develop a drug, you want to make sure every tumor cell has it,” Chi says. He estimates that 95 percent of tumors fall within a clear genetic subtype, although though some controversy exists over how many types there are. One widely accepted number is five. Yutkin, who responded well to Temodar because his MGMT gene is muzzled by a process known as promoter methylation, is one example. Those with an IDH-1 mutation also have a better prognosis, which improves even further in a subset of IDH-1-mutated tumors with 1P19Q co-deletion. “People with tumors that have (MGMT or IDH-1) mutations do extremely well in general, even with minimal or even no therapy,” Chi says. But only about 9 to 12 percent of glioblastomas have the IDH-1 mutation, and many of these likely grew from a lower-grade glioma, calling into question their status as glioblastoma. Scientists are exploring a vast array of treatments, some already approved in other cancers and others experimental. Combining these therapies is an obvious approach, as 24-year-old Robert Mitchell, living in Syracuse, New York, is doing. Mitchell’s diagnosis came on Aug. 24, 2016, after he was hospitalized because his entire left side went numb. After a surgical resection removed what was possible, Mitchell had a “wafer” placed at the cancer site, which slowly leaks out chemotherapy; he also began radiation treatments and is currently taking Temodar. But in addition, he’s wearing the novel tumor-treating field therapy Optune on his head 18 hours a day, as recommended. Although it could get a bit hot and uncomfortable in the beginning, Mitchell said he barely notices it anymore. On the other side of that coin is Meg Turecek, an American living with glioblastoma in the Netherlands. Like Yutkin, she has turned to natural supplements after her Temodar course was cut short at four weeks because of declining platelets. Her diagnosis had followed a major seizure in her sleep on Christmas Eve 2015. She opted for immediate surgery to remove as much of the 9-millimeter tumor as possible and then underwent a six-week course of radiation. She gets quarterly MRIs, the last of which showed tumor shrinkage, but she’s technically on palliative care. For the latter group, it’s up to oncologists to find the right trials. Despite the huge number of trials, options can be scarce due to eligibility criteria, limited available slots, the stops and starts that can occur for regulatory reasons, and geographical limitations such as Turecek’s. Fine says most drugs and treatments are pretty well tolerated when it comes to side effects, but on the flip side, most don’t work very well, either — at least so far. Chi remains confident that that will change.